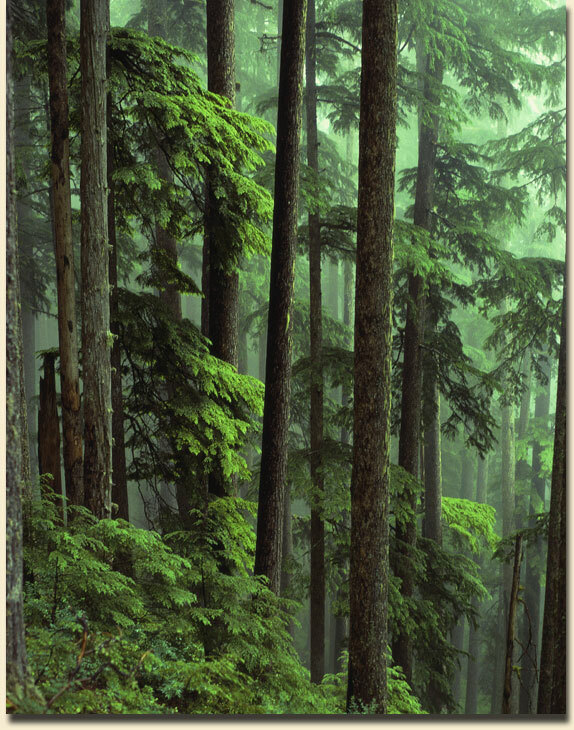 Songs from the Forest: What would your life be like if you brought this to the work? What would your life be like if you brought this to the work? So maybe you are not like me and all of your co-workers think you are relatively normal. In that case, you need to have a lot of fun and buy the lovely beverage containment device shown above, and change all that for kicks. You see, no one who's worked with me would bat an eye if I brought such an arcane curio like this to work. Do you think people will regard you as a tree/nature lover, or just an all out neo-hippie fruitcake? The outrageousness of this treeman coffee mug is best paired with an ultra-conservative work setting. You know the place, or maybe you visit one to pay a bill or something . The type of place where they have to out-dress each other but wear nothing too interesting or creative (i.e. Ralph Lauren & DKNY). The type of place where the employees arrange their professionally photographed family pictures in their office to promote their raging, middle to upper-class normalcy. Probably there is at least one family picture in the building where everyone is posed in a big pyramid; all of them stacked up on top of each other, a moment forever captured of the one and only time they were ever that close to each other for more than three minutes. Also, no one talks normal everyday talk to each other in this setting, it's all in a super-formal pretense, where every one is addressed like they are the cornerstone of the company and a beloved family-team member.....well at least until your numbers are down, and then you're instantly a festering mound of dinosaur poop right in the middle of their polished marble lobby. Yes, this is the perfect place to unleash the mystique of the treeman mug. And believe me, if you work in a place such as the one described above, you will get plenty of awkward stares. This mug, and I am a tree-loving nut, is ridiculous. However, it is not anywhere as off-putting as other mugs you could bring in the office. Like, for example, one that features three dimensional private parts, or a recent one I've seen where the mug handle doubles as a brass knuckle (although that would be nice if you're issued a pink slip). No, the treeman mug is not that ostentatiously blunt, it is subtly strange. See, no one may think your treeman mug will reflect on your job performance, but it will cause them to become secretly obsessed about your inner persona. The aura of this mug is such that no one will directly ask you about it like, "Hey Nick? What's up with that pile of freak on your desk?" And they will not just assume you love a little nature imagery with your morning plasma (you know, coffee) either. So double-check your Facebook page because your co-workers will be all over it like Arnold Szhwarzenegger on a nanny. Don't leave anything suggestive or embarrassing in plain view on the seats of your car (such as a pamphlet entitled Astral Projection and the Workplace). Never leave any non-work related windows open on your computer screen that will heighten anyone's suspicions of your alleged peculiarity (such as this blog). Eventually all this bizarre attention from your co-workers will get annoying. If any of them start any crap with you, because now the rumor is that every time you take a sip you're really talking to your tree-god idol, it is because now they see you as easily dispensable competition for the next big promotion. What got you in this situation is what will get you out of it. First you make sure the co-worker who has it out for you is somehow always in view of you and your treeman mug. Wherever the co-worker is you must sneakily change the position of your treeman mug to directly face the direction that person is in. The idea is that the creepy penetration of the treeman's skulking eyes will glare at the co-worker no matter where they are until they are escorted out of the workplace in a straitjacket. Now this will take a while to execute, the most brilliant and sinister plans always do. And then the next thing you know "Ta Da!" you just found yourself one place up in line for that next big promotion!" 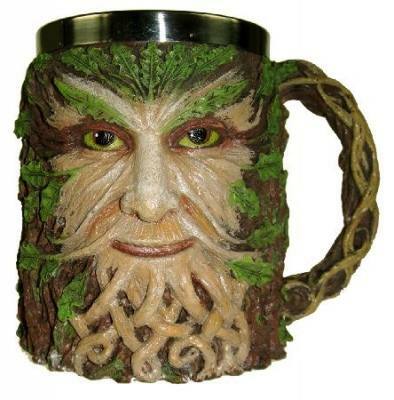 So if you now think that this treeman mug could be the very thing to bring such intrigue to your life, then you'll have to order The Spirit of the Forest Tankard from http://www.everywitchway.co.uk/products/details/3498.html for 12.49 pounds ( I have no idea how much that is & I'm too lazy to check, sorry) from England.